In 1321 King Robert, the Bruce, granted the lands of Grange to Sir William Durham, for faithful services as a knight. The Charter written by Robert, King of Scots, granted and confirmed, William de Durham, the whole of our land called Grange of Monyfoth, along with the mill of the same, to be held by the same William and his heirs, in fee and heritage in all it`s boundaries and divisions, freely, quietly, fully and honourably, with serfs, serfs houses and serfs children and with other liberties, commodities, easements and just pertinents belonging to the said land. Knights at Aberbrothock, the 10th Day of May, in the sixteenth year of our reign. A.D. 1321. The first record of Asludie, an `off-shoot` of Grange, was in 1591 / 2, when it was gifted to William Durham, by his father William Durham, of Grange. The Charter stated that” domincal lands of Grange together with it`s mill, and fishings were to go to his eldest son. The part of Grange called Asludi, for life rent use of his wife. 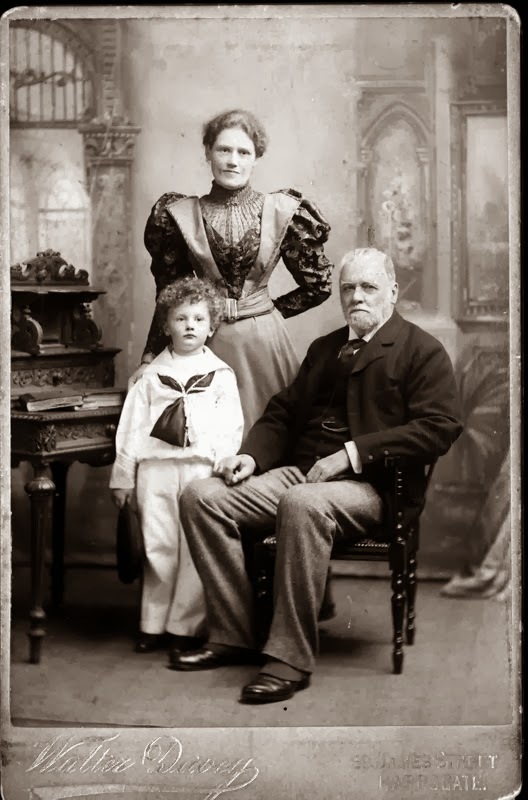 One hundred years later the property was still under the ownership of the Durham family. The Durhams continued in their ownership until 1692, when the house caught fire. Kirk Session records reveal “ John Durham, whose house was burned in the nicht and he in it”. Old maps show the site of this house to being the area of the present day Ashludie farm. Most probably near the current housing estate of Broomhill. James Durham, who succeeded to the ownership of Ashludie, sold it in 1695 to Alexander Duncan, who was said to have been a field officer in the regiment of Earl of Panmure. 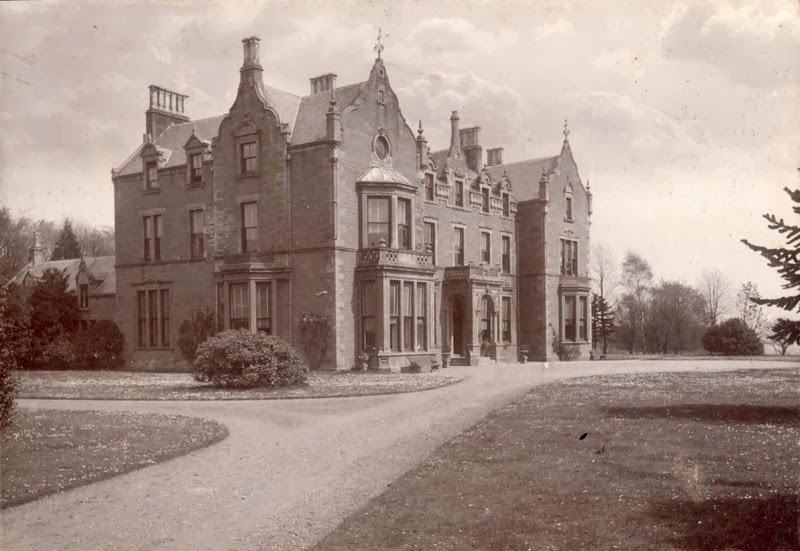 The Earls of Panmure, had a residence at Ardestie for many years. 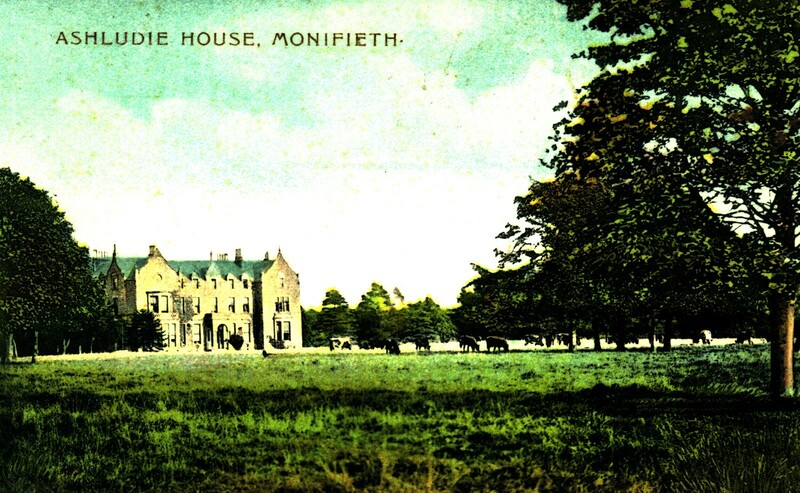 The year 1757 brought another change of ownership for the estate, when Alexander Duncan, a Dundee surgeon, sold the properties to Thomas Mylne, of Mylnefield. 1788 was the year when Sir George Ramsay, Bart.of Bamff (Perthshire) accepted ownership of Ashludie. This branch of the Ramsay family held Ashludie until 1864 , when it was bought by Alexander Gordon, a flax spinning manufacturer of Arbroath. The interior of the house is decorated with beautiful plaster worked ceilings, white marble fireplaces. Magnificent even in present day use, but when part of a family home surrounded with domestic furnishings, absolutely spectacular. The gardens were upgraded to the same high standard as the house. It was said at one time a specimen of every tree natural to Britain could be found within the grounds, in the company of many imported species, such as Spanish chestnut, Walnut, Monkey puzzles etc. 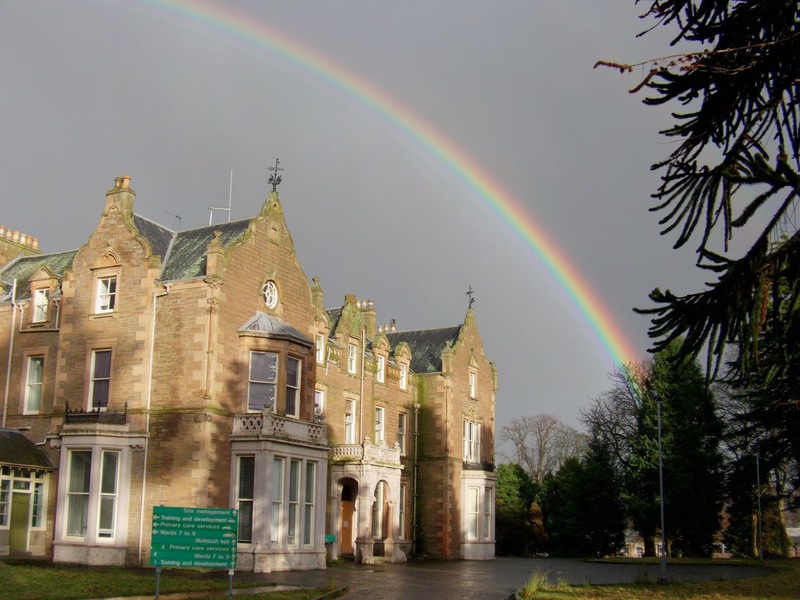 It was credited as being one of the most compact and attractive estates in Scotland. 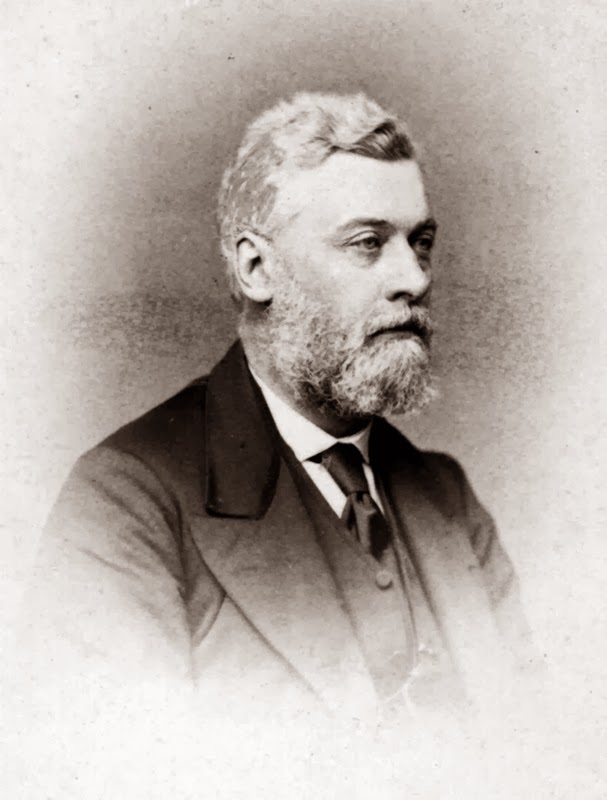 Mr Gordon took an active part in local affairs for over twenty five years. Dundee Corporation on 3rd June 1913 acquired the Mansion house and 48 acres of land, for the sum of seven thousand , five hundred pounds. 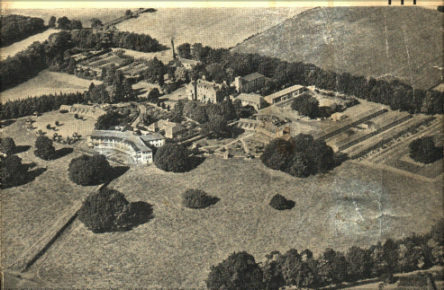 Accommodation to provide a sixty bed sanatorium was added at a further cost of eight thousand five hundred pounds. 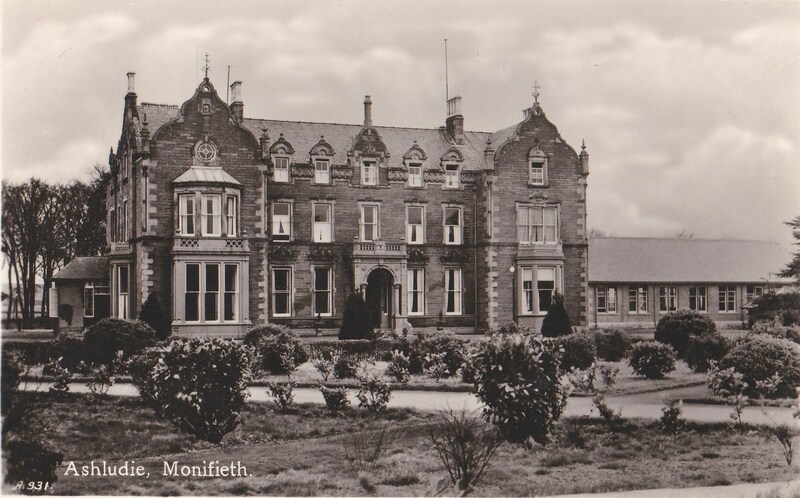 The hospital was opened on the 9th February 1916, by Mrs William Don, of Ardrossan. The Surgical Block was originally built in 1932 as a combined thoracic and orthopaedic unit for tuberculosis. Unfortunately the idea was not developed until 1947. In the early 1970`s general, neurosurgery and specialised orthodontic surgical procedures were carried out in Ashludie. Emergency wards were built in 1940, by the military authorities, to accommodate air raid casualties and war wounded. Post war they were utilised for medical treatments of patients suffering from respiratory complaints. Medical staff at Ashludie were considered to be `leaders in the field for treating chest problems`. The open air regime being favoured where patients were nursed in open sided chalets, which were turned to follow the sun, or wards with French windows opened to the elements. The well laid out gardens and grounds were very much appreciated by both patients and staff. The opening of Ninewells Hospital, Dundee, initiated the eventual change over to Rehabilitation and Care of Elderly patients. We wish to acknowledge Paul Morgan for sending us the pictures of the Gordons, Then and now and the house with and without rainbow. This entry was posted in Ashludie. Bookmark the permalink. 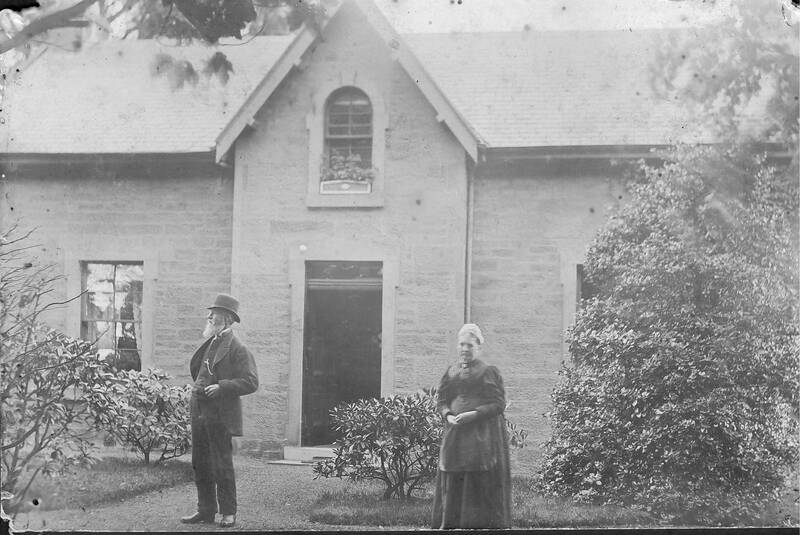 My Great Grandmother and Husband worked in the gardens and lived there until 1911. 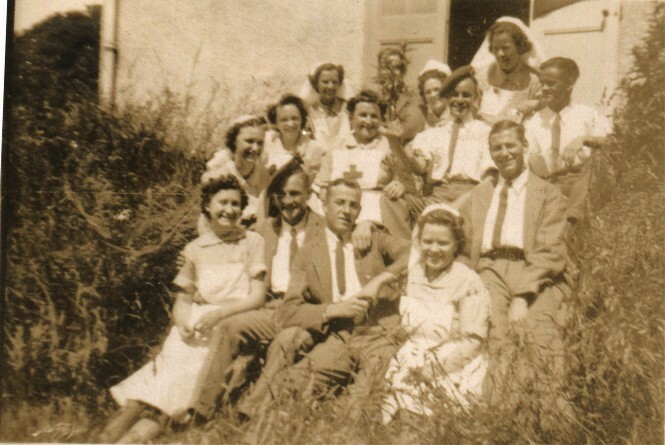 My father and younger brother, were patients there, in the respiratory care wards, sometime between 1948 and 1955. I enjoyed reading this article. 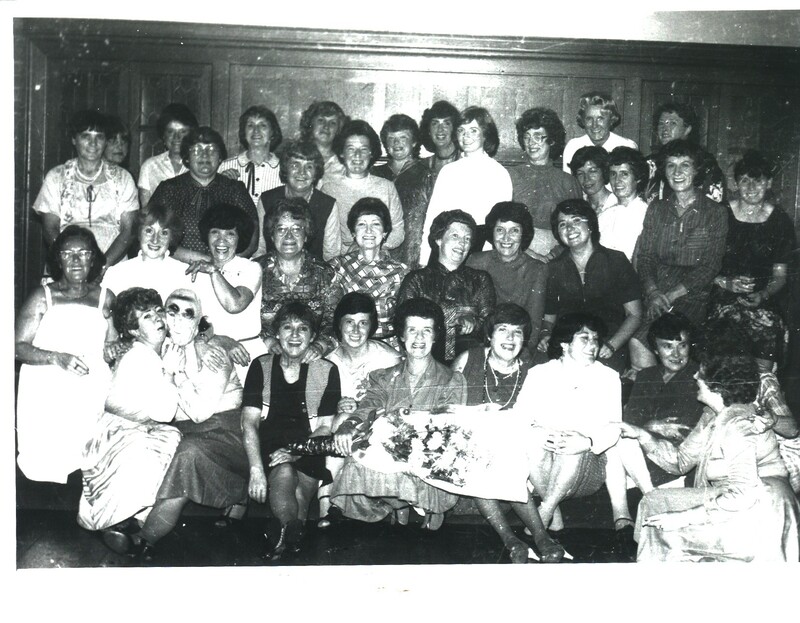 I worked at Ashludie Hospital as a student nurse in the early eighties. There were nurses quarters (room, shared facilities). Best of times.